The azaleas have been sprung from death row... probably. The Friends of the National Arboretum announced today that it received a $1 million donation from an anonymous donor to establish an endowment for the National Arboretum's azalea and boxwood collections. This follows on the heels of a vocal outcry against a plan the Arboretum announced last fall. The Arboretum had said it would cut down the popular azaleas and paint the remaining stumps with herbicide. The azaleas have been restored over the past 20 years by a group of volunteers, but the Arboretum had lost funding for two staff gardener positions. According to the Arboretum's website, they are now "suspending actions to remove the Glenn Dale azaleas from our extensive collection of azaleas, as well as the National Boxwood Collection and Perennials Collection, subject to further discussions." 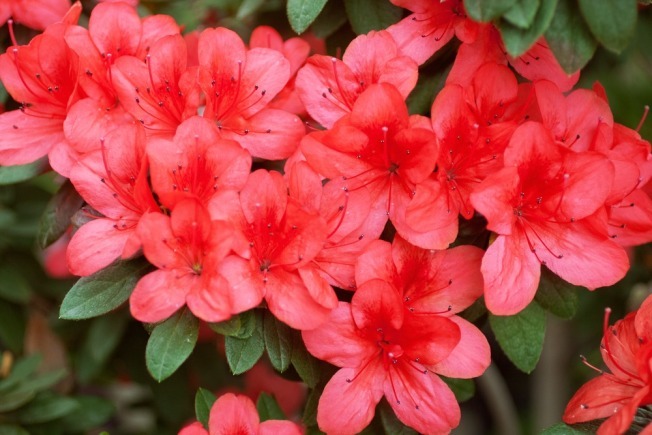 The azalea collection is one of the most frequently visited portions of the Arboretum, which Garden Unit Leader Scott Aker had claimed was part of the problem -- that's according to Don Hyatt at the Washington Gardener blog. Aker allegedly said the arboretum was unable to cope with the crowds in April and May during peak blooming period. "In the short term, we hope to save the Azalea and Boxwood Collections," said Jeanne Connelly of Friends of the National Arboretum in a release. "Over time, our broader goal is to work with the Arboretum and Department of Agriculture leadership to develop a plan for the long-term sustainability of the Arboretum."